Kettering Citizen Police Academy Alumni has been selected as a National Point of Light. The Daily Points of Light Award is given by the Points of Light Foundation, the Knights of Columbus, and the Corporation for National Service. It is designed to honor individuals and organizations who have made a commitment to connect Americans through service to help meet critical needs in their communities and to the nation, especially those focused on the goals for children and youth set by the President’s Summit for America’s Future. 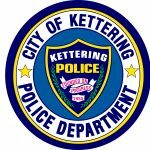 The Kettering Citizen Police Academy Alumni assists the Kettering Police Department by performing a multitude of tasks that free up the officers to do more specialized work and concentrate on solving various problems. 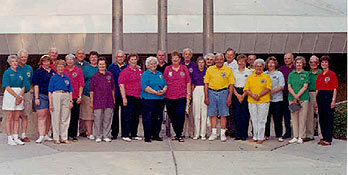 In mid-1993, the KPD initiated a Citizen Police Academy, which consists of 10 weekly classes to inform interested citizens about the work of the police department. Two citizens from the early classes were so impressed by the actual services provided by the department that they wanted to help the police enhance their services and formed the Kettering Police Academy Alumni organization. Since the organization’s inception, the 103 Citizen Police Academy Alumni volunteers have donated more than 12,000 hours of service. The Daily Points of Light Award honors an individual or organization that makes a positive and lasting difference in the lives of others. Our volunteers certainly have achieved this. There were over 3,500 nominations for this award. In addition to receiving this award, the KCPAAA received congratulatory letters from President Bill Clinton, President George Bush and Robert K. Goodwin, CEO of Points of Light Foundation.